Torrance, CA—Today, Honda revealed additions to the already bountiful Red Rider Rewards powersports racing-contingency program for the 2019 season, with more than $6 million available to racers—an increase of approximately $500,000 over last year. The program gives Red Riders across the country the opportunity to earn payouts at more than 1,500 races in categories including motocross, off-road, dirt track, road racing, ATV competition and—now, with the launch of the new Talon 1000X and Talon 1000R—side-by-side racing. "Racing has always been fundamental for Honda, so we're happy to announce this expansion of the Red Rider Rewards program for 2019," said Brandon Wilson, manager of advertising & motorcycle sports at American Honda. "Because of increased opportunities for earning contingency rewards through competition, we're confident that Honda riders will enjoy even more success on tracks across the country this season." 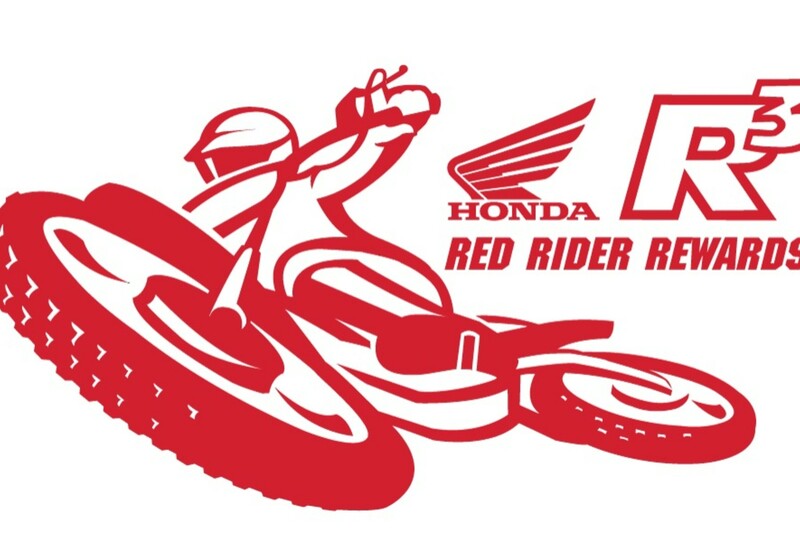 In addition to its Red Rider Rewards contingency and support-team programs, Honda continues to grow its Red Rider Support trackside-support program, which will include more dealers and markets for 2019. For more information, visit the Honda Powersports website. We took a look at Mike Witkowski’s 2019 Beta 300 RR at the opening round of the Kenda AMA National Enduro Series.